See how far they fly! 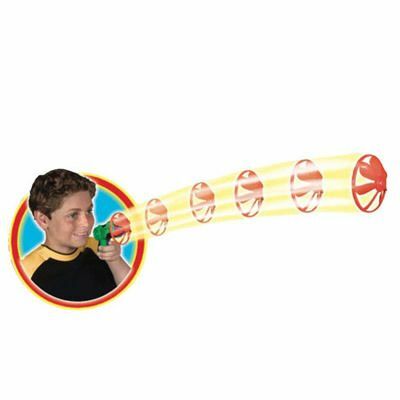 Take aim and fire the plastic pinwheel discs into the air. Shooter and five discs included. Ages 6 and up.